Retired/as Office Manager: Dermatology-Surgical Clinic, I also had my own business "Simple Reflections" Interior Design. Married, having babies, & working. Moved back to Arkansas in 1993, to marry my first love that I had to leave behind when my parents moved to Edmonds in 1963. We reconnected after 30 years. In 2010, I fell and severed the tendons in my neck. Since the accident I have had 6 neck & back surgeries, the last 5 within a time frame of 6 months, just to get my head up and off of my chest. The end result was 2 titanium rods, 5 metal plates & about 25 bolts placed up & down my spine. I am still recovering, it will take a long time before I will be able to walk by myself. My mobility is very limited. I cannot look up or down (which makes digging in my purse, while riding in the car, next to impossible) and I can't look side to side either. This has been one of the worst times in my life. I have gone through two open heart surgeries and reconstructive foot surgery and they don't compare to this. Never thought I would spend the last part of my very active life in this condition. We make the best of what life deals us. I count my blessing everyday for the time I have to watch my grandchildren grow. Prayers are appreciated! Time has past, I now have had 8 back surgeries, but I really believe this one will work. I have titanium from my neck to my pelvis. I have to walk with a walker, can't stand straight, this is embarrassing for me, however, it is better than the alternative. I Thank God everyday that I am still here, without him I would not have made it. However, going through an Air Port is the pits. I set off every alert possible. I am looking forward to going to the reunion, Thanks to Stan & Sherry Stebing's and my special friend Linda Morley Kaas' help and encouragement. Hope to see you soon! All the teasing I got because I "Talked Funny" with my southern accent, even from the teachers. Like the time my 10th grade English teacher,Mr.Lockwood made me read "MacBeth" in front of everyone and he recorded it. It sounded awful and I was embarrassed. Mr.Propst, my biology teacher, gave the nickname of "Rebel" on day one. Pamela Mitcham Harris has a birthday today. New comment added. Pamela Mitcham Harris posted a message. Pamela Mitcham Harris added a comment on her Profile. Linda, I am behind on all the classmates information. I am going to the reunion, now thanks to Stan's encouragement & Linda Morley Kaas picking me up at SeaTac. I will be staying with her and her husband. They will assist me. I am disabled, due to an accident. I am very thankful that I will be able to attend & looking forward to seeing old friends. Will you be coming? I hope so. The last time I saw you was just before I moved to Arkansas, we met at the bank for me to sign over my part of the reunion account to you & that was 23 years ago. Hope to see you again. Pamela Mitcham Harris added a comment on her Profile. New comment added. Stan, will you and Jan be going to the reunion? I am traveling from Arkansas. Would like to see again, it's been at least 30 years or more. Pamela Mitcham Harris changed her profile picture. 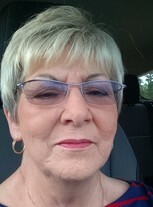 Pamela Mitcham Harris changed her "Now" picture. New comment added. Pamela Mitcham Harris added a photo to her profile gallery. Pamela Mitcham Harris updated her profile. View. Pamela Mitcham Harris posted a message. New comment added. Happy "Late" Birthday, Hope you had a great Birthday!